Haute Blog: IT'S STARTING TO REIN DEAR!!! IT'S STARTING TO REIN DEAR!!! Back again for the holiday season, straight out of the tundra of Alaska it's... REINDEER SAUSAGE!!! OK, enough fanfare, we got the goods in and it's up to you to make make best of the holidays so let's eat! And please no Rudolph jokes, this is PG food, we don't want to disturb the children... in all of us. Blended with beef this is a lean full-flavored polish style sausage weighs in at nearly a 1/4 pound. 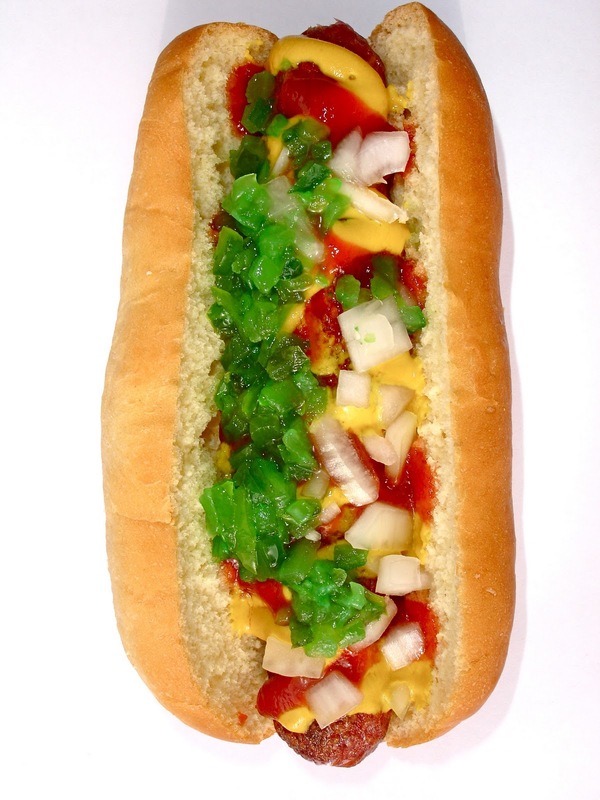 We grill it and add our condiments of choice: mustard, ketchup, mayo, raw onion and green relish. It even looks kinda Christmasy! We only have a limited supply so ya beddah get down to hank's fast, they'll be flying out of here.... oops, sorry... They sell quickly so come and get'm. MELE KALIKIMAKA and HAU'OLI MAKAHIKI HOU!!!!!!! !